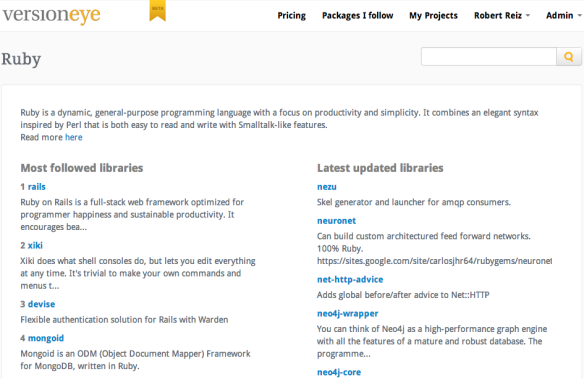 This week VersionEye pushed programming language pages online. The language icons below the search bar are clickable now. On every language page we show the top 10 and the 10 most recent software libraries. Furthermore, we show people from our community who follow that language. Here’s an example for Ruby. Check it out and share your thoughts!